1. Woman of the Year. And the winner is… Julie Bishop. Harper’s Bazaar gave the gong to Australia’s first female Minister for Foreign Affairs, described by political and public figures, Gina Rinehart and Attorney-General George Brandis as “the complete political product”. She’s the only woman in Tony Abbott’s cabinet and the first female Deputy Leader of the Liberal Party, so the title is well-earned. Bishop said being Foreign Minister was always her secret hope. “I am living my dream,” she said. 2. In Asia, there’s an APEC summit in Beijing and Chinese Premier Xi Jinping wants everyone to know that Chinese growth is and will remain strong. That was too late for Shanghai stocks Friday, however, with the composite index off 0.32% to 2,418 but roughly unchanged on the week. In Hong Kong, stocks dipped to 23,550 for a loss of 0.42% on the day and -1.87% on the week. In Tokyo, the afterburners of the BoJ’s big cash injection saw the Nikkei end the week at 16,880, up 466 points over the four days for a gain of 2.84% on the week. 4. The dollar rallied on the back of US employment and Chinese data to 0.8660 and Westpac thinks it can go a few cents further. There’s a shedload more data to come today, too – Chinese CPI, PPI and new loans are due out today along with home loan data in Australia. For the rest of the week, you best check Westpac’s excellent rundown of pending releases here. 5. Queensland Police will not use sonic cannons during the G20. Yes, they have two models of sonic cannon – a handheld device with a 600m range and a vehicle mounted one capable of clearing eardrums at 2km. OK, and yes, the same devices were use to clear G20 protestors in Pittsburgh a couple of years ago. And potential G20 Brisbane upstarts may have been asked if they’d care to see them in action. But they won’t be used. Promise. 6. Why do so many Chinese kids wear glasses? From 1970, the rate of short-sightedness in Chinese children has increased from a third to four-fifths. The rate in primary school kids has doubled since 2000, but its seems the problem is social rather than genetic. It’s most likely due to them spending a lot more time studying and lot less time in the sun, which is known to help release a chemical that inhibits myopia. Aussie school-age kids spend an average of three to four hours outside a day, Chinese just the one. 8. The other big sign-off. Australia is almost ready to enter a new era of trade relations with China, with Julie Bishop claiming a Free Trade Agreement is “very close” to being finalised. The Libs are keen to get the deal in Canberra while Chinese President Xi Jinping is in the country for the G20. Opposition Leader Bill Shorten smells a rat and wants to see the full details, but he needn’t worry because The Australian claims it will be worth “at least $18 billion” for Australia, which sounds fantast- oh wait. That’s $18 billion “over 10 years”. 9. Bob Dylan is crazy. That’s not really news at all, but part of why this story about his idea to make a slapstick TV series with Seinfeld writer Larry Charles is our favourite for today. Charles, who also directed “Borat”, tells the story about how he was called to meet Dylan at Dylan’s boxing ring in Santa Monica. Dylans orders two coffees, then proceeds to drink Charles’s. He shows Charles all his ideas for a comedy written on scraps of paper held in a wooden box. They visit HBO, Charles in pyjamas, Dylan looking like he stepped out of a spaghetti Western. Then things got weird. 10. Australia is best again. The Wallabies beat Wales for the 10th time in a row, in a tight 33-28 thriller. Just France, Ireland and England to go. And our pyjama cricketers got their game on with a solid win and series clincher in the tri-match T20 hitout against South Africa. After being routed in the opener, the Aussies hit back in Melbourne and last night in Sydney, where Victorian Cameron White gave his return to the Aussie ODI side in time for next year’s World Cup a huge boost with a match-winning 41. 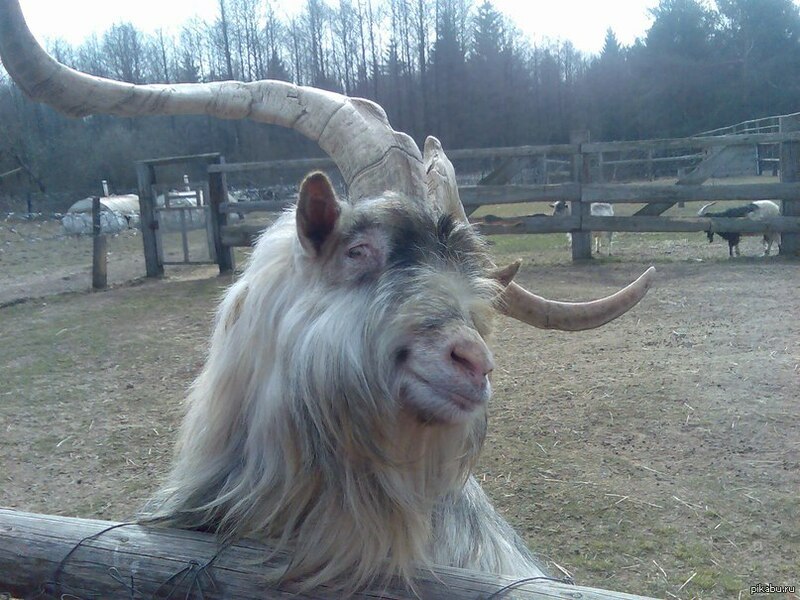 BONUS ITEM: This Ridiculously Photogenic Goat which is getting Redditors excited. Have a nice day.